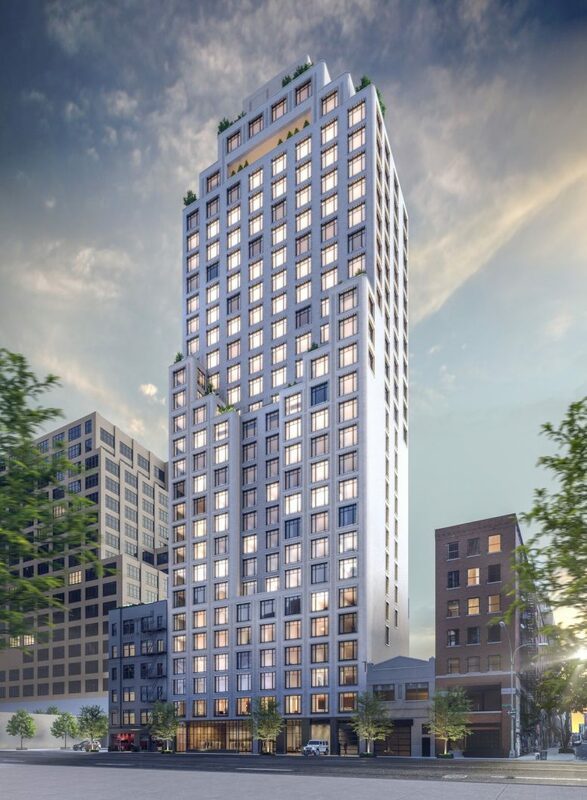 This week, the Greenwich West condominium tower officially broke ground in Hudson Square, Manhattan, at 110 Charlton Street. 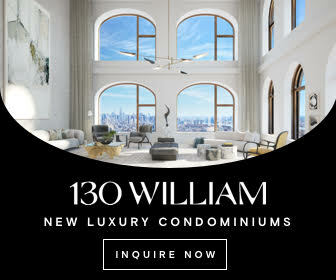 The first renderings have also been revealed, showing an exterior mix of classical masonry tinged with industrial-inspired ornamentation, typical for the SoHo-adjacent neighborhood. The building is designed in partnership by French architects Loci Anima and Sebastien Segers with architects of record Adamson Associates. 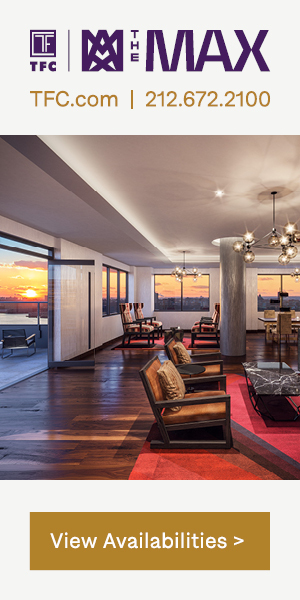 Curbed was the first to report on the renderings this week. The development will replace an assemblage of warehouses purchased in 2016 for $78 million . 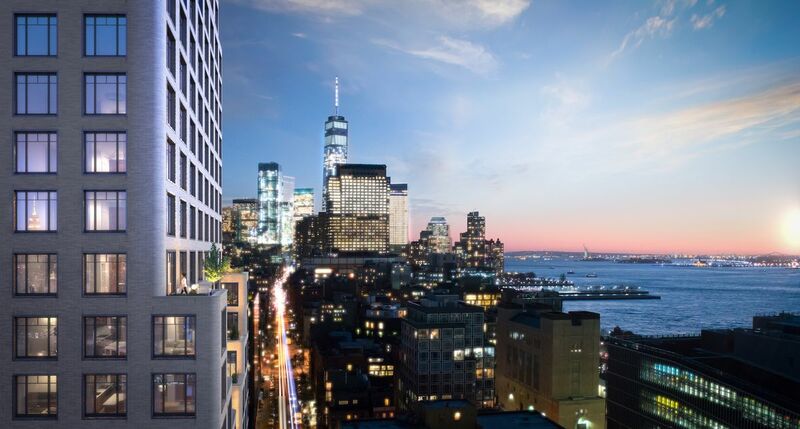 The new 30-story tower is expected to yield 170 apartments spread across 225,802 square feet, with an additional 2,800-square-foot retail space on the ground floor. Plans also detail a parking garage located on the building’s first through fourth floors with accommodations for 34 vehicles. Residential amenities have not yet been confirmed by the project team which now includes developers Strategic Capital, Cape Advisors and Forum Absolute. 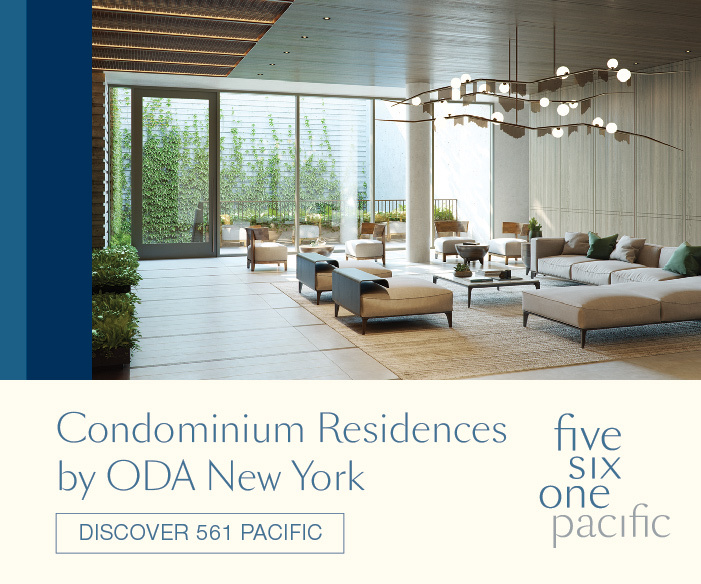 Base-line properties will be offered starting just under $1 million, with sales led by Corcoran Sunshine Marketing Group. 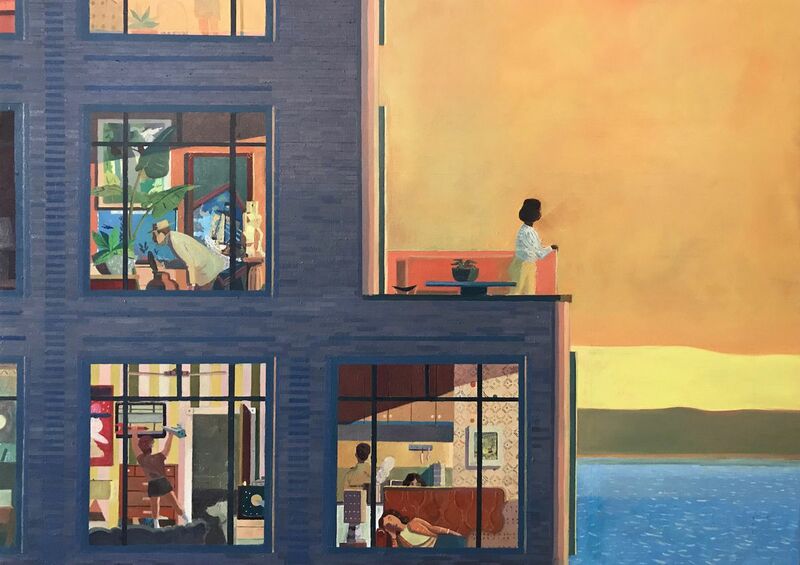 Painter Aaron Zulpo has been tapped to produce illustrations for the building’s marketing campaign. 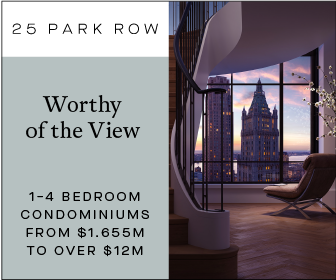 5 Comments on "Greenwich West Unveiled at 110 Charlton Street, Hudson Square"
Please pardon me for using your space: Do you like violet frame? Finally the beginning of residential development to the extreme west border of Hudson Square. This will truly mark a historic change for an area that has been a ghost town after 5:00 P.M. into a thriving mixed residential/commercial neighborhood. 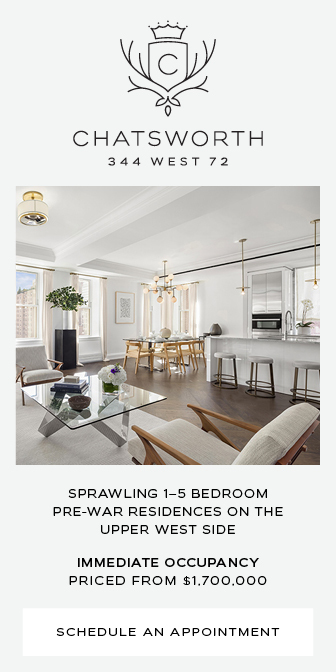 It will proudly stand and grow along its contiguous sister communities of So Ho, Tribeca and Greenwich Village. It is confusing because it is an L shaped lot and building. 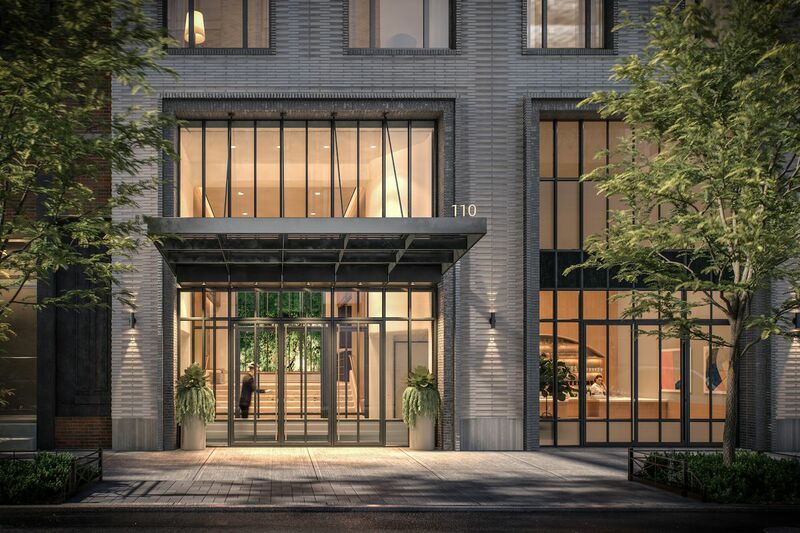 The lobby entrance is on Charlton Street and the retail space and garage entrance will be on Greenwich Street. This configuration will make the corner retail site a highly desirable spac since the pedestrian traffic will grow exponentially.